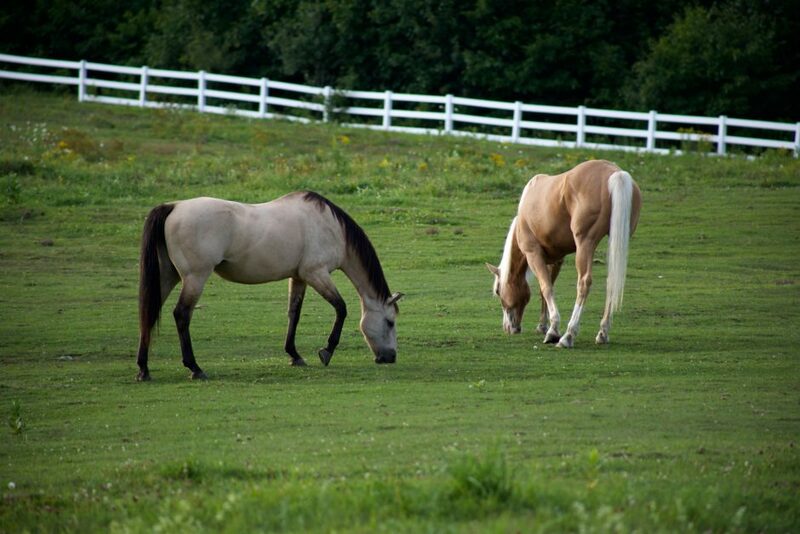 Like humans, horses can get sick or be infected with diseases. Taking care of a horse or horses means you’ll have them in sickness and in health. When your animal gets sick, you’ll want to do what you can to make them feel better. Like illnesses in humans, diseases in horses can be mild to severe, and knowing what your horse is infected with will help you treat it. As horses age, their chances of contracting a disease or illness increases. Most ailments are treatable, but there are some that can be debilitating and terminal. Below are a few of the common health issues in horses that can strike at any age. One of the most common illnesses to impact older horses is dental disease. Horses spend a lot of time chewing and grinding their teeth, which wears them down or perhaps even loosens them. They may bruise their cheeks or gums, which can cause discomfort and the inability to chew and eat. One way to help ensure that dental disease and issues don’t cause too many problems for your horse is to have regular dental checkups. Taking care of your horse’s teeth from an early age on will ensure they remain healthy. Your horse is susceptible to colds and coughs. With both, there will probably be a yellow or white discharge from the nose. They can pick up this virus from other horses — just like humans pick it up from other humans. If your horse comes down with a cold, you’ll need to keep it away from other horses and contact your vet. There are a variety of different coughs your horse can contract, including those associated with a common cold. A cough can also be caused by a bacterial infection, which may require antibiotics to control, or allergies. Talking to your vet will help you determine which type of cough your horse has and the best way to treat it. Knowing what is causing your horse’s diarrhea is a task for a vet. While it could be a number of different things, it’s best to have a professional diagnose and treat the problem. Since diarrhea could be a sign of a serious illness, you’ll want to do what you can to ensure the health of your horse. There are a variety of different conditions your horse can develop on their skin, including mud fever, sweet itch, cracked heels and ringworm, among others. Mud fever and cracked heels are often caused by wet, muddy conditions that allow bacteria to get under the skin and into the heels and causes issues. The best way to treat these conditions is to ensure that horses legs are kept dry and use a cream to fight off infection. Sweet itch is caused by an allergic reaction to biting midges. To reduce the likelihood of being bitten by midges, use insect repellents and keep your horses indoors or under cover at dusk and dawn on humid, still days. It’s also possible to buy sweet itch rugs to help keep your horse safe from the bites. Your horse is also susceptible to infections diseases, which are transmitted from horse to horse or by other vectors such as mosquitoes. These diseases include West Nile Virus, encephalomyelitis, influenza, rabies, tetanus and Potomac horse fever, among others. Many of these diseases can be prevented by vaccinations, so talk to your vet to make sure your animal is protected. Horses, like humans, can get sick with a range of different diseases and illnesses, including those mentioned above and others such as cancer and osteoarthritis. Doing research and reading online sources such as PetMD will get you more information about horse diseases and illnesses. However, your best resource is your vet, and you’ll need to work as a team to make sure your horse is in great health.